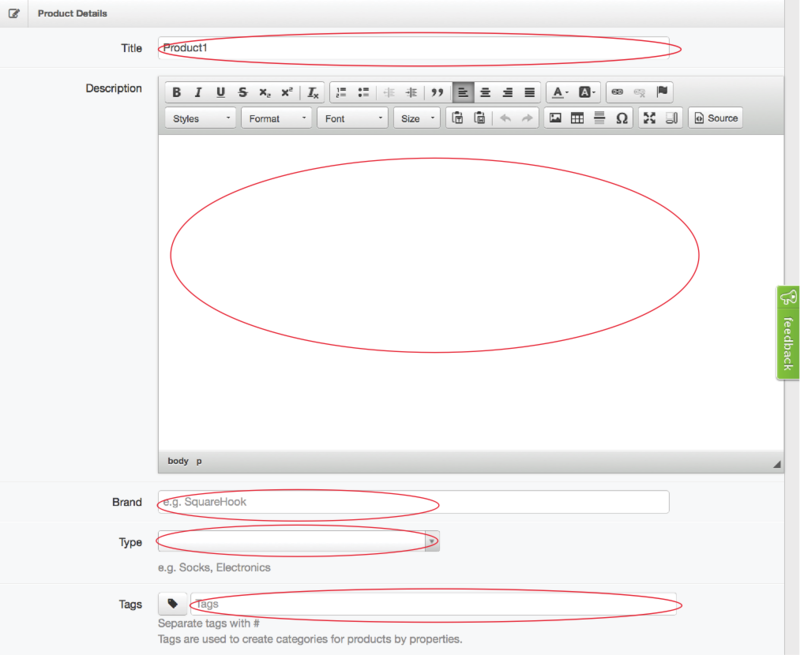 To begin adding products to your store, select the Products button. You will be brought to the Products Page. 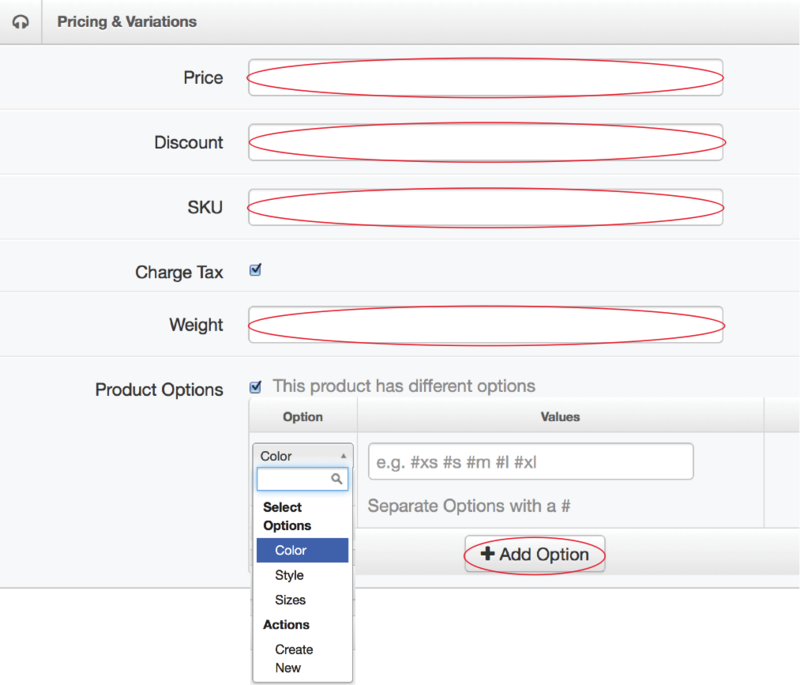 You may begin adding your store items, by selecting the +Add Product button. Under the Pricing & Variations section, you can enter in specifics about the product, including price, discount, SKU number, weight, and/or product options. You can un select the Charge Tax button, or the Product Options if there aren’t any. To add an image, select the +Add Image button. Once you have selected the +Add Image button, your existing image library will pop up. Here you can select from an existing file from your library, drag and drop an image, or select from your computer. You can continue to add as many images as you’d like. To rearrange the images, select the image you'd like to move, and drag the image along with your mouse. The surrounding images will move according to where you want to drop the image. To edit an image, hover over the image. Two images will popup. You can add an alternate value for the image by selecting the Alt Value icon. You can delete an image by selecting the Delete icon. Be sure to select the Save button to save your populated product information.